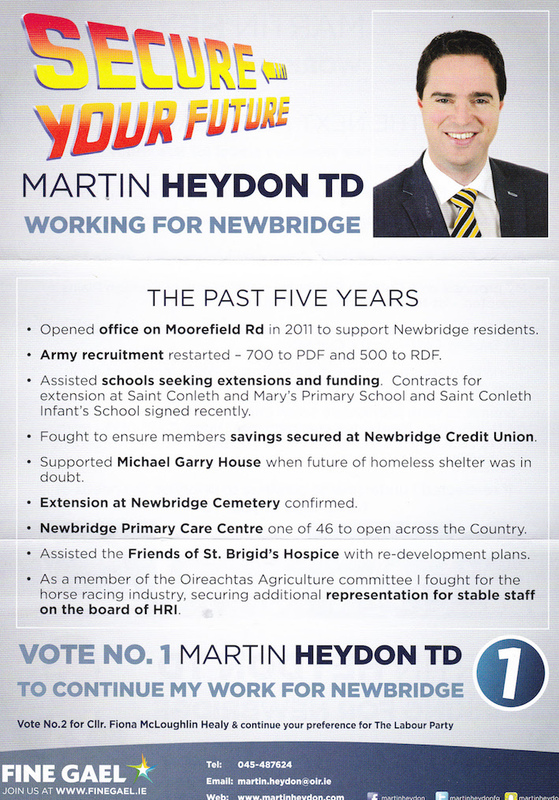 A flyer from Cllr Martin Heydon ‘Your General Election Candidate’. Hendon was selected by Fine Gael to be a candidate in Kildare South. He polled 1,980 votes in the Athy Ward in 2009.